Oh so it is just your own terminology. No worries. Thought I missed something. This is my first post ever. When I first started I was very excited about the game. 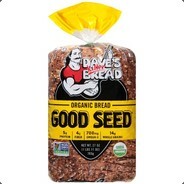 I play on xbox one. After playing awhile, I became alittle bumed because the game quit saving. That seems to be fixed. Both me and my wife stoped playing. Understanding this was pre alpha, we were waiting for the issue to be resolved. The concept of this game is the best since Everquest. 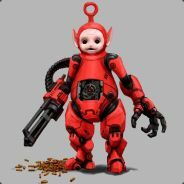 The game is a blast to play and I am excited to see what comes next. The small rovers are a blast to explore with. The lastest update has resolved many of the prblems that were a pain. It's a fun game. Thanks guys, keep up the fantastic job. So what's with the paper thin land surface? (2) Grass (organic ground clutter, but grass is easier to say) seems out of whack. I can’t be more specific because I’m not sure exactly how to describe the problem. I always make a glass-smooth surface around my base, beyond the “tarmac” area that’s generated when the initial habitat is formed. Often that ends up undercutting a good bit of soil (terrain) along with its overlying grass which is nice, it gives me a good supply of organic to power research modules with so I can get started building my base, setting things up, etc. I also frequently use the Inhibitor (I consider it essential, craft it early on, and always carry on hand on my terrain tool) so I “mow my base” as soon as is feasible. However, I’ve found several times when I’ve returned into a saved game where I’ve already flatted & smoothed my base, and cleared it of grass, it’s all returned. Now having some come back isn’t unusual. Tbh it’s very annoying when you cover over an area with soil, the grass comes right through which makes no sense (I really hope the Devs will fix this soon, “decorators” or ground clutter should not reappear on terrain we’ve cleared either by covering with soil, or by undercutting and removing the top portion, just putting a little reminder in here; there’s also issues with cave stuff like stalagmites, even Pumpkins, growing on ramps and other terraformed items in caves, it’s frustrating and shouldn’t happen please fix!). But this is very different. The grass comes back at a very weird height, not the ordinary height of the terrain it would normally be on (like the smoothed surface) and not at the height of surrounding non-flattened terrain either. It’s like a new set-point has been generated, at which this “new” grass has spawned. I’ve also seen this occur in old saves after new updates have been issues, especially ones in which terrain features have been tweaked (for example, the update that removed the plinths- I saw this sort of odd ground clutter re-setting behavior back then). So in conjunction with #1 I’m concerned something has been altered in the terrain & ground clutter generation programs (maybe as a prelude to Terrain 2.0, installing some prerequisite stuff, idk anything about coding and programming so I have no idea tbh but I guess that would make sense) but whatever is going on, it’s causing issues and may be further related to some of the other issues myself and others have been experiencing. (3) Idk if there’s an official terms for this (unless it also fits under “rubberbanding” not sure) but myself and others have had problems with our Astroneers “bobbing” up and down, in and out of the terrain. Now I think we’ve all experienced a little of this on occasion, but it’s happening much more often now, and it’s very problematic when it happens to you. The other night it was happening on my base, including the tarmac area around the hab, I basically couldn’t play consistently. I had to save/exit & reload the game, which fixed the issue at least for the remainder of time I played that save. But this isn’t a rare occurrence anymore, so it’s worth mentioning. (4) While it hasn’t affected me so much (I don’t build vehicles all that often, I don’t find I really need them) I’ve seen this happening in the Astroneer club for Xbox One I help out with. Quite a few people are having their vehicles drive right into (as in, through) terrain and are completely gone, buried. Obviously these people are not happy. Of course we understand it’s Alpha, but this wasn’t happening, at least not like it is now, prior to this update. This isn’t the case of vehicles burying themselves partially in soil (I think that may still happen on occasion I’m not sure though) this happens while driving the vehicle. (6) I’ve saved the worst thing for last. This is not just a glitchy issue, but also one in which I’ll give my opinion, or what I consider to be feedback. Storms. Wow, I’ve watched storms evolve a good bit since January ‘17, and with considerable thought I’ve decided they shouldn’t be in the game at this point. I’ve deliberated over time, been on the line about it, but I really just hate them now. I’m sorry but I feel it’s my duty to get that out there. I don’t expect the Devs will remove them, but I hope they’ll listen to some feedback. Storms don’t add anything useful to the game. They don’t add immersion, they don’t compel the player to perform any useful behavior. Want players to explore caves? I think the purpose of exploration alone, in combination with the need for ore precursor materials, is plenty enough motivation. I realize there’s probably a lot of people who have worked long and hard on the storms, and I’m not the kind of person who’d ever want to suggest trashing someone’s work for a game, but right now as storms exist they’re nothing but a severe hindrance with nothing good coming from them. Sure, I know, someone is going to say “almost all games have negative factors, punishment, etc” yeah I understand that. I’ve played since I was a kid, Atari 2600 generation etc. I’m not looking for a way to make the game easier, that’s not it. Storms used to be rather simple affairs, not very large either. You hid out from the rocks, you were only slowed a bit when it was right on top of you, it moved on quickly, and there really wasn’t an underground effect (not that I recall). It worked fine, it was manageable. That’s not what we have now though. They’re bigger, move extremely slowly, you can barely move at all and now when you do it’s like you’re moving in slow motion! It’s so frustrating it’s beyond words! It’s taking 5 minutes sometimes for the slow effect to leave my screen and character. Sometimes the slow effect ever leaves my character at all so I have to quit and reload, but that’s not a solution. That only helps as long as it takes for the next storm to come somewhere near (it doesn’t even have to be visible, the ridiculous slow effect occurs even when I can’t see any storm in sight, even when I can see clearly all around me on Terran which is a huge amount of visible terrain). Used to be, you were only slowed in the centermost part of the storm (very brief amount of time). Now this slow effect has not only increased in magnitude, it’s increase in duration as well as exponentially in the AoE from the storm (doesn’t have to be anywhere near you, like I said often I can’t even see it). Seriously, the storm is on another part of Terran and I’m still slowed! What the heck is going on here? It’s horrible, it’s just so miserable it’s actually worth quitting the game and reloading that’s just how bad these recent storms have become. Undergound it’s just inexplicable. Why hasn’t someone turned off storms underground yet? Has no one been assigned this task? Seriously the dumbest thing I think I’ve ever seen in a game. I really didn’t understand the magnitude of the issue until the storms had the pixelation bug. I thought it was just a matter of some dust, and no one had fixed the slowing that came with it. Now I can “see” what’s actually happening-there are storms completely underground when I’m in caves exploring, and I mean in the deepest levels. These aren’t surface storms that have some penetrating underground effects (although that shouldn’t happen either, I’m tired of being struck or killed in a cave or dugout tunnel near the surface by stray boulders that magically “penetrate” terrain when they have no business doing so; they also shouldn’t “blow” into a cave entrance unless they’re following a flight path that operates according to predictable, meaning somewhat realistic, physics so they only enter at certain angles that align to say a cave tunnel’s entrance instead of slicing through a cave tunnel roof unpredictably at any angle). Back to my point. Storms and other forms of weather have no basis for existing in deep caves. There should be “wind” because caves “breathe” meaning air tends to flow in and out to equalize air pressure throughout cave systems. This is seen in real cave systems. Storms? No. That shouldn’t be so hard to comprehend. There shouldn’t be dust at lower levels, shouldn’t be any slowing period, none of this nonsense. Also please get rid of the blowing items around in the caves. It’s bad enough as it is keeping track of items across huge cavernous expanses, without these ridiculous storms and their winds coming along scattering stuff all over the place. Yes I can dig holes well enough, that’s not the point. I shouldn’t need to put a bunch of holes in the ground of an underground cavern and stick a beacon in them because I’m afraid the Mighty Lame Cave Wind Beast is gonna blow them all away. Or perhaps the Pissy Underground Storm Dust Monster will come and make it to where I can’t even see my holes or beacons when I’m down there, which makes all that effort pointless. Yeah I seriously have no idea why it’s taken this long to fix these things, but it’s only getting worse and there’s no reason for that to happen. Xbox One was supposed to have received performance upgrades. If anything we should be moving faster during storms (because storms are one of the biggest culprits degrading performance, generating the worst FPS drops consistently in single player experience across a gamesave’s life span). Sorry Devs, this stuff needs to go. This is already long, so I’ll stop here. Maybe I’ll write some comments at some point about the vehicles and batteries. I don’t really see a problem. I don’t carry batteries with me (but then again I gave up using the large rover, aka truck, back when it got slowed down so much). I only use the (now medium) rover to pick up items from far away, places I’ve usually visited on foot (I travel a lot on foot, don’t appreciate how much oxygen tanks have been “nerfed” from explorer packs tbh, cutting back I agree with but it was too harsh a cut imho, again maybe I’ll write more about that another time). Power is one of the easiest things to find or generate in the game, so yeah not really seeing a huge issue here. The game doesn’t require you use vehicles at all anyway, most of the time I don’t even craft or use them (largely because they’ve been a very buggy feature of the game so I’ve adapted my play accordingly). I’m not telling anyone how to play their game, but no one can say vehicles are the backbone of the game, they’re not required to do anything (other than spacecraft are required to visit other planets). I’m also enjoying the little racer-buggy. It’s a lot of fun. The only thing I’d like to see added is a hardpoint of some kind, something we can use to anchor it to a platform. Not a power link, it’s obvious the Devs didn’t want to go that route and I’m fine with that. I’m thinking more like a point on the chassis where you could attach something like a chain, just something to anchor it to a place on your base (or maybe another vehicle to tow) where it won’t be blown away by storms. That’s the real reason, I don’t want it blow away in high winds, and I think the Devs need to add something to allow us to anchor it. Doesn’t need to be a power link. Thanks to all for reading, especially the Devs (the intended audience). Thanks! Love the game always! Seeing as the 'Q' key does nothing while in a vehicle, could we perhaps use it to both cycle between attached seats (handy on a long train that's hard to reverse), and to allow the crane to have drive/crane modes (Not needed on keyboard absolute mode, as we could have WASD made available while in the crane, but controllers and mouse driving would need a toggle), the first using a short press, and the second a long press. (2) Nothing should re-grow or return to flattened terrain. You flatten the terrain around your base or make ramps, and the next thing you know, stalagmites, grass and rocks are back. (3) Has happened infrequently to me. I leave the area and it fixes by itself. (5) Absolutely. "Pumpkins" should not spawn inside cave walls. I have been killed several times by invisible poison clouds from unseen sources, which turn out to be plants either inside or on the other side of walls/floors/ceilings. (6) I totally agree on this point. Storms are more of a hassle than a fun game mechanic. And to feel them inside caves is just mind blowing (no pun intended). Barren is such a fun place to play in: no storms whatsoever slowing you down. (1) I can see how the small rover can be fun for some. I personally find its usefulness only for quick compound/resin runs in single player mode, or on multiplayer where a few people can drive small rovers while one person drives the big one when exploring. I won't use it to go too far off the base because of its inability to carry anything other than small power sources. If I find a research pod (especially those found in wreckages), I can't bring it with me. I would need to drive back to base, hop on a larger rover, then drive back to go collect the pod. Not time-efficient at all. (2) The whole rework of the larger rovers' energy consumption rate is a step backwards in my opinion. It seems pretty obvious to me the roles of each rover. There was no need to "differentiate" anything. (3) The "flattening mode" still needs some love. It works great on Terran. Outside of Terran is a whole different thing. It tends to follow a row or grid pattern when flattening, leaving gaps between rows which can only be fixed if you stand close to it. 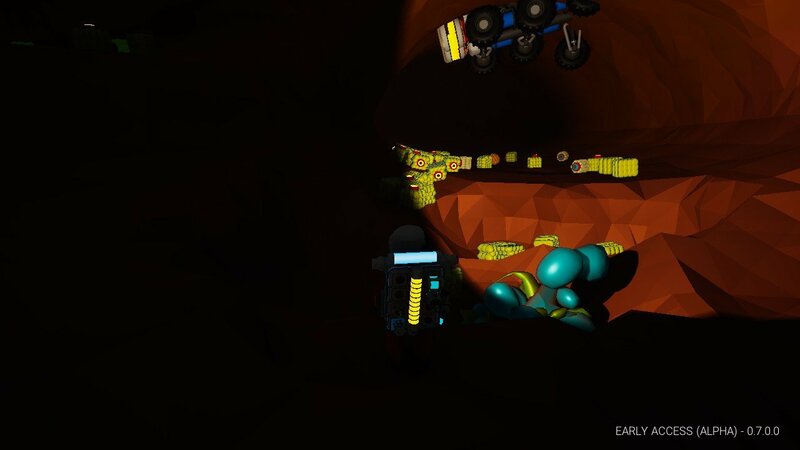 (4) It would be nice if the spawn rate for small oxygen tanks and batteries from dead astroneers could be increased if only for a little bit. (5) Performance-wise, it's been great!! No crashes for me, and I can't say I've seen many terrain issues other than those mentioned above. I wholeheartedly appreciate what you guys and gals are doing. Looking forward to enjoying the game's upcoming additions!! 6) I totally agree on this point. Storms are more of a hassle than a fun game mechanic. And to feel them inside caves is just mind blowing (no pun intended). Barren is such a fun place to play in: no storms whatsoever slowing you down. Yeah no kidding. I started a new game and the storms seem to be about every 5-10 minutes. Totally annoying. Please just do away with them. Haven't played this in a few months but I have a slight gripe with the newish Rover update, while I agree that they had an overly big battery per car and that needed to be tweaked, but the power constantly drain from just turning the steering wheel is a bit overkill. I understand that it needs power to turn the wheels when your turning but the continued draw after the wheels are fully rotated it too much. Other than that the rovers are about perfect. no, it doesn't. no real vehicle will steal power from you for just turning the steering wheel, 'power steering' or no. power steering is an assist to movement, so no movement, no power steering. what should happen is that the steering should only work when the vehicle is moving, just as power steering does. you could keep the power consumption rate as it used to be, but just factor in additional power consumption for steering action, so that the more maneuvering your vehicle does, the more power it takes. that would balance up consumption of power in a fair manner. just want to say something on the subject of storms. it's clear that storms are at best glitchy and are obviously divisive. I've seen them progress and evolve in the game and, whilst often immensely irritating, they have become a feature of play on Terran. i wouldn't go so far as to say i like them, but i would be loath to have them removed just because they make life harder. games are all about challenges after all. it's true they need looking at still, and like the terrain glitches we've all been suffering recently, they seem to be in a 'two steps backward' phase right now. these occur often when the devs release a new feature, they re-break something they fixed ages ago - remember how many different variations of vehicle stability we went through? storms need a serious looking at. get them out of the underground, keep them focused, maybe reduce their frequency. but i dont really want them gone. anybody here chased a storm yet? i must do that, load up a vehicle and try to keep on it's tail and see where it goes to. do storms just vanish after a while? love to know. why cant we use a mouse when playing on xbox, but the keyboard works? it crashes on xbox with im in my friends server, he discconects, also when im on pc, and hes on xbox, he lags really bad while im in his server. get get 150mb internet. so why do we discconect and why does our cross platform experience lag on us? As I understand it, this isn’t a limitation imposed by SES the creators of Astroneer, but rather something on the Microsoft’s end. Most likely has to do with issues concerning competitive multiplayer games and issues of fairness although I certainly could be wrong idk. The combination of keyboard and mouse, especially in terms of competitive PvP games (for example the very popular Battle Royale mode which is now all the rage, as evidenced by games like PUBG and Fortnite) is an extremely powerful one. 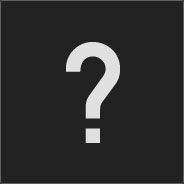 Kb/m is generally considered a faster and more precise method of control (for most types of games, there are some exceptions I believe) while offering other significant advantages over gamepad controls such as increased configuration options and customization shortcuts (macros, keybindings, and many more). So when you consider there are a lot of competitive games played on both console and PC, I can understand why there is reluctance to approve mouse input for consoles. I haven’t looked into this issue in awhile so idk for sure if that’s why the mouse input hasn’t been approved but it would make sense. There could be other reasons as well, but at least it seems like a “plausible” reason. It will be interesting to see how things evolve as the pressure for cross platform gaming continues to increase (so far cross platform competitive play options are very limited). 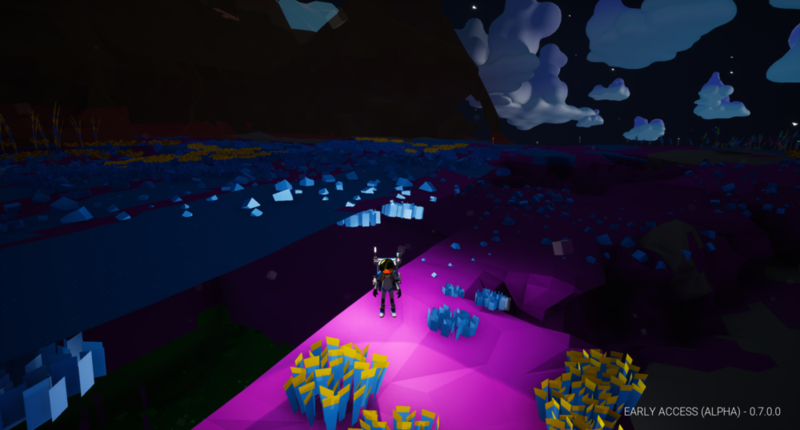 Astroneer is still very much an alpha product and still needs a great deal of optimization. I would suggest you do not run the server on your friends Xbox at this time. The Xbox or PC running the server has to manage the whole world and all the objects in it so while Xbox is a good gaming console it won't perform well as a server...at least for now. So for now let your PC run the world and he can join as a client. I thing your experience will be a bit better. They are following the same advice I found when I looked up this same situation (I have a friend who plays Astroneer on PC, while I play exclusively on Xbox One; I’ve not attempted to join them yet in co-op play but I did perform a search to see just how this would be arranged since we both purchased Astroneer though the Microsoft store). According to the Astroneer Wiki (realize the info isn’t always up-to-date, Wikis depend on players to keep things relevant and helpful) it’s recommended the Xbox One player host the game and the PC player join as guest. Tbh I have no idea why that would be the case, in fact it seems counterintuitive given most PCs will have beefier specs than an Xbox One Whatever the reason, that’s what is stated (here’s the link: https://astroneer.gamepedia.com/Multiplayer). good point. I just figured a mid level pc would handle running the server better. I would try t anyway just to see. my two cents. Does the new patch for the Rover include quick sand, it took me 40 mins be triangulation to find one. Stuck in the ceiling of a cave.